A window into the mind of a movie buff, people lover, sycophant hater, calling spade a spade'r. I love journeys. I am a diehard romantic. I am a believer in magic. I am a sucker for happy endings. I can swallow implausibility when you make me feel for the characters on screen. That is why Dilwale Dulhaniya Le Jayeinge remains one of my all time favorites. One hero who has made looking passionately into a woman’s eyes, till her ovaries explode, his superpower. Shahrukh Khan. A director who has won me over with his understanding of the free spirit, of love that comes to lie down with the strangest bedfellows… who puts a sufi touch to his tales, of characters travelling inside and out, their paths revealing their own internal crossroads and potholes… So on paper, JHMS had a lot going for it. The story is of a Gujrati girl Sejal Zaveri, losing her engagement ring on a Euro trip, who decides to stay back and find it, but finds love and longing in Harry, the Punjabi Euro guide. So, instead of a missed train in DDLJ, which I found contrived then, seems way more convincing than how this plays out in the film. 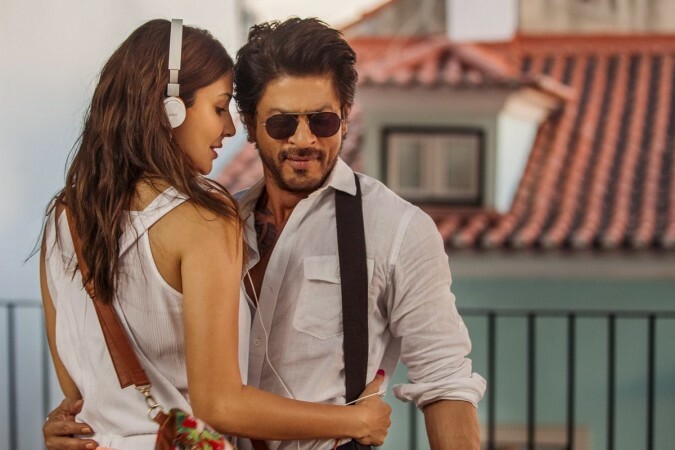 Love hath no logic, sure, but then you need passion, chemistry, a quickening of the heart… nothing happens sadly … barring one moment in a chase sequence, when Harry is hit by his feelings for Sejal. Anushka as a lost, confused Gujju gal didn’t convince me, specially with the jarringly off and forced accent. Shahrukh's attempts at being a jaded, foul mouthed Punjabi work only in bits and pieces. JHMS is lackluster and only so much SRK love can sustain you through this poorly scripted film. The biggest problem is the characterization or the lack of it. The Casanova meets the ditzy virgin, super premise, but for me to be invested in their fate and frolics, I needed more, and apart from a chuckle here and a smile there, I wasn’t moved by their travels or travails. I kept waiting that Harry and Sejal will have that one big moment, where it will all come together, I would let out a sigh, feel a tear form in the corner of my eye, my heart bursting with emotions, wanting life to work out in the favor of the star crossed lovers... even as the "palat" moment played... it didn't happen. I have always enjoyed an Imtiaz Ali film. Geet to me is iconic, the dialogues of JWM were a breath of fresh air, setting a trend which many tried to follow. Highway moved me with its rawness, Tamasha with its madness and dark detours inside Ved's heart and mind left me wanting more... JHMS leaves so much to be desired, specially in the second half. On the plus side is the music, Safar, Hawaayen and the Nooran sisters powerful Jee Ve Soneya are my favourites. Ali gets Kamil and Pritam to give a stellar soundtrack. I wish the same could be said of the film. SufiyanaSoul © 2013. Simple theme. Powered by Blogger.